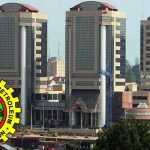 The ongoing reforms of the Nigerian National Petroleum Corporation (NNPC), will place the Corporation on a long- term growth trajectory for the benefit of all stakeholders, its Group Managing Director, Dr. Maikanti Baru, has said. Baru, while receiving a delegation from the NNPC Retired Staff Association led by its President, Chief George Owarieta, in Abuja, yesterday, stated that restructuring the Corporation was the surest way to sustainable growth and profitability. “On restructuring of the NNPC, definitely there are benefits in the exercise both to the nation and to the organisation itself. If we don’t take actions, we shall continue in the trajectory of declining revenues and increased deficit, a trajectory that will ultimately lead the Corporation nowhere, the trajectory that so many state-owned corporations had followed and they are no more. The trajectory that will lead to chaos and I don’t think it is the trajectory that we would like the NNPC to follow,” Dr. Baru said. The GMD stated that NNPC management under his leadership was working hard to block any identifiable leakage within the system to ensure that all resources are judiciously utilised for the benefit of all stakeholders and the nation at large. He stated that the Corporation would ensure that its restructuring plan aligned with that of the Federal Government for the benefit of all Nigerians. He called on the Retired Staff Association to make valuable contributions based on their wealth of experience to the successful implementation of the ongoing reforms in the Corporation for better results. The GMD, however, said the Corporation was working round the clock to weather the storm in the wake of prevailing economic reality in the country. Earlier, the Chairman of the Association, Chief George Owarieta, commended the NNPC led by Dr. Maikanti Baru on the landmark achievements in the industry, and expressed confidence in the ability of the current management of the Corporation to discharge its fiduciary responsibilities effectively.